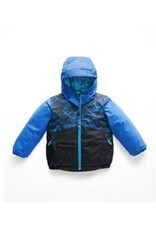 Toddler Snowquest Insulated Jacket Hyper Blue Granite Print - Grow Children's Boutique Ltd.
For your little snow-angel, the fun never ends, and with The North Face Snowquest Insulated Jacket it doesn't have to—it features everything she needs to stay on on the slopes from first chair to last. 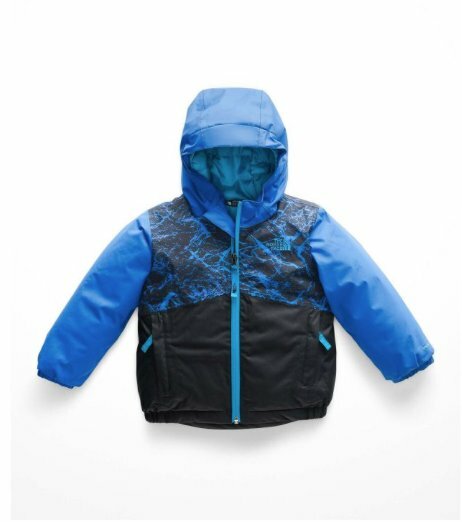 This technical snow jacket uses a waterproof, breathable membrane for dry comfort on the chair lift, and the seams are fully sealed so not a single drop gets past its defenses to ruin her day. For extra core warmth, the body is stuffed with 250g synthetic insulation, while the sleeves and hood have 160g, for better mobility when she's swinging those arms around. The North Face equipped the Snowquest with an ID label (so she doesn't loose her coat during après-ski cocoa), as well as grow cuffs that can be lengthened when she threatens to outgrow it.